izzie1017 added a book review. izzie1017 has read this book. I love this book. Im reading it a second time. I totally think y'all should read it. Rio is like me, shy, quiet but sweet. I found i fell in ove with it last year. You should TOTALLY read it! Hope you enjoy it! I love this series, Though i was heartbroken after the begginig of the third one. This is one of the best and awesomenest books sereies EVER! You should totally read it. I love Katniss and Peeta the most. Those 2 are perfect for eachother, aren't they. Hope you read it! I agree. Woman should have as much equality as Men. izzie1017liked a comment in How Social Media Helped Instigate Saturday's Global Women's March. 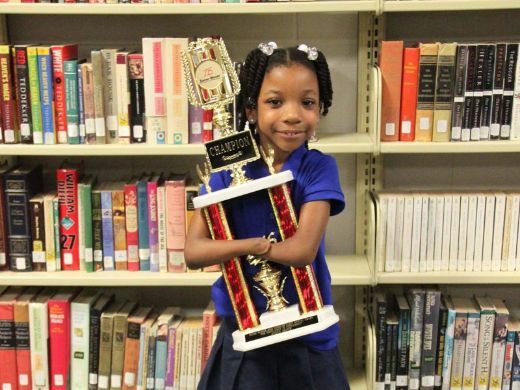 Seven-Year-Old Anaya Ellick Proves "Disability Is Not Inability"